If you have watched too many movies about Middle Earth, overflowing with magical creatures and beautiful landscapes, you will feel like home visiting the Scottish Highlands, it is exactly how you imagine Scotland to be: Green grass dancing with the wind, huge mountains with snow on top of it, that Game of Thrones feelings all over. The cool part of visiting the Scottish Highlands is that the stunning views you get, are not only, well…stunning, but also full of history, and I’m not talking about fiction, but real history involving tribes, clans, and Vikings. 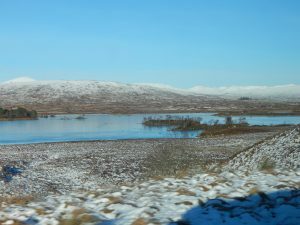 There are many places to visit in the Scottish Highlands, taking into consideration it extends through a vast area from the middle to the north of Scotland. 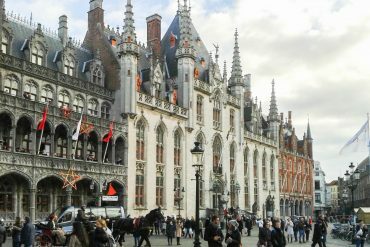 To visit it, you can take one of the many tours leaving from the main cities, or drive your way through. 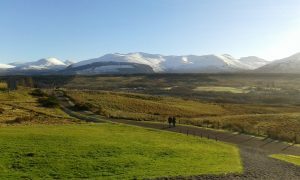 If you are planning to venture on your own, here goes a list of places you must visit in the Scottish Highlands that will help you a little bit planning your trip. Scotland is divided in Highlands to the north and Lowlands in the south. Back in time, the Highlands were occupied by the Gaels, an ancient people who had their own culture and language, while the Lowlands were the land of the Scottish people. With time, due to many factors, the Gael people started to migrate to the Lowlands, leaving the Highlands little populated. Although the Gael culture almost disappeared, many people in the Highlands still preserves part of it, including the language. In some areas, it is still taught in schools and some elders are still able to communicate in this language. Some words used in Scotland are also from the Gaelic vocabulary, such as Loch (lake) and Glen (valley). The Highlands are not only rich in beautiful places but also in history, there are many historical places to visit, such as many castles, battlefields, old villages and standing stones. Many battles happened in the highlands from the invasion of Viking to the occupation of the British army and the rebellion of the Jacobites. With time, these conflicts and the increase in industrialization in the central belt promising work for the now ex-farm labor forced the population to migrate to the south part of Scotland, leaving behind, small populated villages. The Scottish Highlands are made up of mostly small cities and villages, besides Aberdeen, all big cities of Scotland are located in the south part of the country. Highlands is perfect to spend some vacations if you are seeking a chill place away from the crowd to rest. It has beautiful places to see and amazing outdoor activities if you are into that. There is always divergences in pointing where exactly the Lowlands end and the Highlands start but in general, we consider Callander to be the first city, the gateway to the Highlands. It is a pretty small city with a population of only 3,000 people. 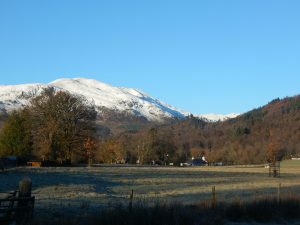 There is nothing much to see and do in the city, BUT from there you can have access to the Callander Crags, as well as many other trails and walks. 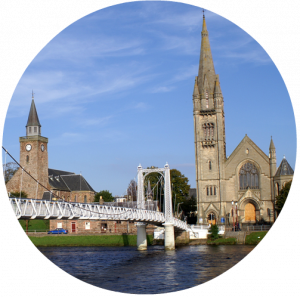 Known as the capital of the Highlands, Inverness was first established by the 6th century and is located close to two important battle sites, one in the Aird that took place in the 11th-century and the other located in Culloden Moor that took place in the 18th-century. I nverness stands at the mouth of the famous River Ness, so it is really easy to get to Fort George and Loch Ness from here. Home of strong tradition and culture, many will remember this city from the Outlander series. Inverness also has its own castle, built in 1836, unfortunately, it is not open to the public, but you can admire the building from the outside. Another small city, accordingly to the last census, the city has only 650 residents, BUT its here that you can take the cruise for the Loch Ness, which I really recommend! 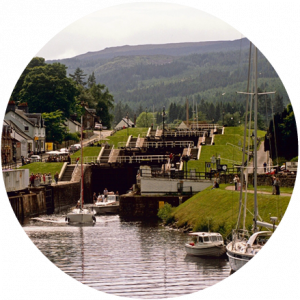 Besides that, there you can also see the locks of the Calledonian Canal, a very interesting construction, you will find it exactly in front of the dock where you take the Loch Ness Cruise. Located in the gateway of the Highlands, Lake Lomond and the Trossach National Park are great places to visit if you are an outdoor person who loves adventure and to have contact with nature, or even if you just want to chill admiring the great views from this lake. There are many things to do in Loch Lomond. Home of the beautiful complex of mountains called Bidean Nam Bian, where the most famous part is known as the Three Sisters of Glen Coe. The Glen Coe is part of a National Park and considered one of the most beautiful places in Scotland! Glen Coe also keeps a bloody past, it was here that one of the most famous events that took place in Scotland happened in 1692, known as the Massacre of Glen Coe when the MacDonalds were pursued and killed by their guests for not prompt pledging allegiance to the new monarchs. 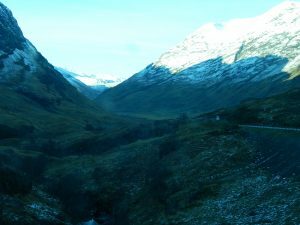 A more modern fact though is that Glen coe was the place chosen as the location of the Hagrid’s hut, the Harry Potter character. Unfortunately, his place is not there anymore to be visited. Harry Potter was not the first movie to use the Glen coe as scenery though, another dear one was Monty Python and the Search for the Holy Grail. Do I really need to describe it?! The location of probably the most famous legend of the world: Lake Ness Monster! 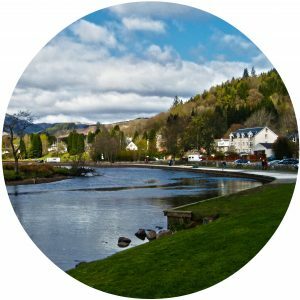 There are many cities on its boarder but the most famous one to visit the is Fort Augustus, there you can take the cruise and hunt for the monster. Lake Ness is long in extension and really deep, the water is so dark it looks like coke. 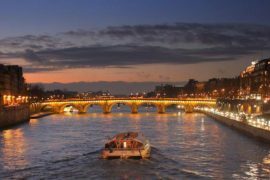 For those who are not really into cruises or doesn’t like the idea of being in a dark, black and cold river, you can drop it and have a pic-nic instead, there are many places in its boarder where you can have a beautiful view while you enjoy your meal. It’s a castle beside the Loch Ness, the ruins date from 13th and 16th century but the fortification was built on another fortification dating from the early medieval period. The castle was held as royal castle from the 14th century to the 17th when it was abandoned. Nowadays it is the most visited castle in Scotland and considered. 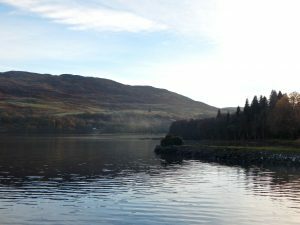 It is open to the public and from the castle that sits on the top of a hill, you can have a view from the Loch Ness. This is probably the castle that appears more often photos. One of the most well preserved of Scotland. He is located on its own little island, and a stone bridge leads to its entrance. The castle overlooks the Isle of Skye and is surrounded by a forest. 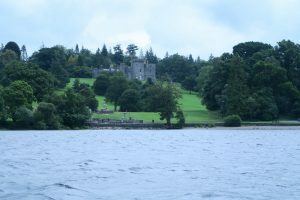 The castle was built in the 13th as a stronghold of the Clan Mckenzie, but it was destroyed in 1719 during the Jacobite rebellions. In the 20th century, the castle was reconstructed, producing what we see today. This is just a small list of the cool things you can visit in the Highlands. But of course, the list goes on. It is impressive the number of unique places to visit in such a relatively small piece of land. There are many other castles, loads of mountains to admire and, if you are an adventurous person, to hike, islands and beautiful cities. There are tours leaving from the major cities of Scotland almost every day. You can find many tour companies in the Royal Mile in Edinburgh. The option is many, you can take tours that go from 1 day to 20 days! Yeah, I told you there are many things to see in the Highlands! Don’t forget to subscribe and share this post with family and friends to help them plan their next trip! Very nice description. It makes me want to visit there sometime. You should if you ever get a chance!! It is an amazing trip!! Gorgeous! Adding this to my travel wishlist! I studied abroad in Edinburgh and went to the highlands a couple of times! I would definitely also visit Culloden battlefield as that has a big significance in Scottish history. This post makes me want to go back!! Love Highlands!!! I was studying in Edinburgh for a year and I had the chance to visit all areas in the highlands!! Magnificent!! 🙂 Between your photos are great!! Wow beautiful photos! I would love to explore the Scottish Highlands. Lovely pics! I’m from the UK and still haven’t visited the Highlands, I think that needs to be fixed soon 🙂 Thanks for this useful list of sights! Such an informative guide! I like all the contemporary and historical facts you included. (I feel like) Scotland is really underrated, and this guide totally makes me want to go. This looks amazing and is definitely on my list of places to go! I hadn’t considered going in winter but something about the snow makes your photos look so charming! I especially am intrigued by the two castles 🙂 so beautiful! Great to know that there are tours as well in the case that you didn’t want to rent a car. Great post ! Beautiful Scotland is one of our favorite countries. Thanks for sharing!